Nike really are taking the footwear world by storm. Their massive selection of colours, styles and now, hybrid trainers left me in a position to just want it all. 1987 saw the birth of the Air Max lineage, showcasing visible air in footwear for the first time. What began as an experiment in cushioning, soon evolved into an icon, both, on the track and the streets. Over the years, it’s been re-imagined and re-tooled, but Nike’s heritage remains consistent. Nike invited 12 creatives to design the future of Nike with the intention, of the shoe being released on Air Max Day (26th March). Everything went to plan, other than the release date. The vintage style trainers were released 4 months earlier due to the popularity. Limited stores in Virginia and Los Angeles stocked the trainers with few quantities. Following on from the early exclusive launch, the shoes then became accessible in larger quantities worldwide on Air Max Day. 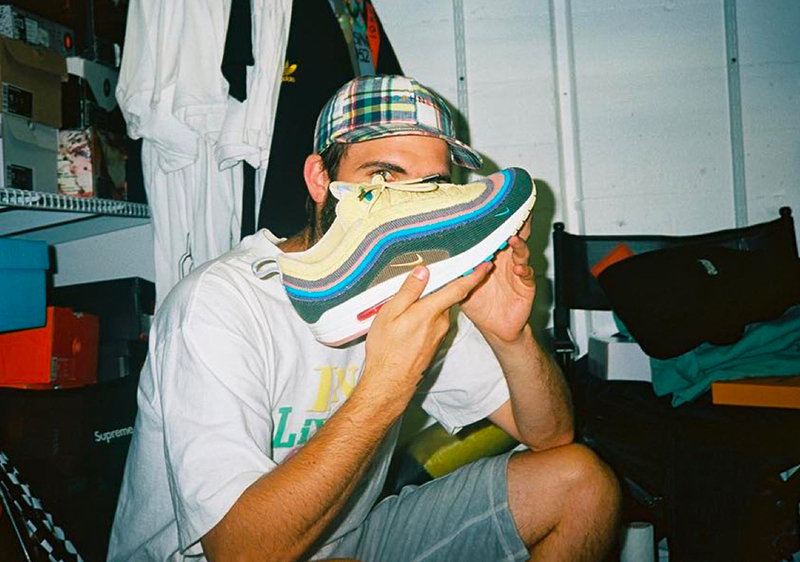 The winning innovator, Sean Wotherspoon a Vintage store owner, combined Air Max 97 upper with an Air Max 1 midsole and outsole. His multicoloured corduroy upper was inspired by Vintage Nike hats from the 80’s. This was just the start of the revolution air, hybrid designs. Below, I have the hybrid trainers I’ve been obsessing over. Nike’s footwear designers intended this specific design to be categorised as “menswear”. It wasn’t till my favourite blogger, Sherlina, an ultimate trainer fanatic posted the pair on her Instagram, I knew rules were made to be broken. The second I laid my eyes on the 97 Plus’ I saw them in my life…The bold, racer pink trainers, made with the intention to be sold for men ended up on my feet. Fitting into my bespoke style. Just to mention how I got hold of these 97 Plus’, I’ll give you a long story…short. Sherlina (previously mentioned) teamed up with dresscodenation to give 1 out of up to 2 million followers the chance to win a pair. I entered, and entered, and entered the week long raffle, driving my partner and friend insane with constant tagging. Little did I know, on the day the winner was announced, I would not only win a pair but recieve one. My partner searched high and low for these rare trainers, in my size. And found them! As a blogger who values quality over quantity, I can easily and joyfully recommend Air Max 97 Plus’. 97 Plus’ aren’t just about aesthetics either. The trainers enhance spring to every step you take, double guessing whether or not you’re walking on concrete or a trampoline. I could not ask for more in a trainer. Nike took time in designing and created the shoe from inside, out.